Hallowe’en is quickly approaching, which means we are about to be inundated with ghouls, goblins, and all manner of the walking dead. For many Christians, this holiday is full of images and icons that are incompatible with their faith. I pass no judgement because I’ve wrestled with the place of Hallowe’en in my faith. However, I find that there is a lot of gold we can mine from the tales and themes of the holiday. Today, I’m going to talk about one of the most popular (even throughout the year) genres of horror: Zombies! The zombie genre as we know it began in 1968 with George A. Romero’s Night of the Living Dead. The undead had been explored before, but this film really introduced us to the shambling horde of cannibalistic dead returning to terrify the living. It is often said that the film was a commentary of the rampant consumerism that was (and still is) taking over our society. Our willingness to become complete consumers turns us into something sub-human, a mindless horde with only one goal: to feast on more. 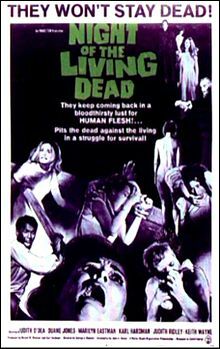 After this film, George A. Romero (and his ex-partner John Russo) created several more films that explored the genre. Other filmmakers, game designers, and authors have joined the cause and our western media is now saturated with zombies. The Evil Dead, 28 Days Later, Warm Bodies, Sean of the Dead, World War Z, The Walking Dead, Resident Evil, Dead Rising, Left 4 Dead, Plants vs. Zombies, and Pride and Prejudice and Zombies are but a taste of those who have explored the corners of the undead story. We have serious horror tropes that invade the otherwise calm suburbs and farcical parodies that show how ridiculous our obsession with zombies is getting. It seems like everyone these days is writing about the walking dead. Yet, for the Christian, I can think of very few genres that fit so well as an analogy for the Christian world-view. We who have eternal life through the death and resurrection of Jesus Christ (a different death and resurrection than the zombie kind) are surrounded by “the dead.” As we live in this world, we must face temptations that can draw us away from the source of all life, perhaps turning us into a part of the horde of the dead. Walking according to the course of the world, desires of the flesh, children of wrath. Definitely good zombie material. Which brings me to my next point: the cure. In the Christian faith, God has entrusted His disciples with the mission of spreading His Good News, the Gospel. Through this Gospel, God gives new life to those who were “dead in their sins.” He returns them to life by the blood of Jesus Christ. And we, Christians, are the stewards of this saving message. 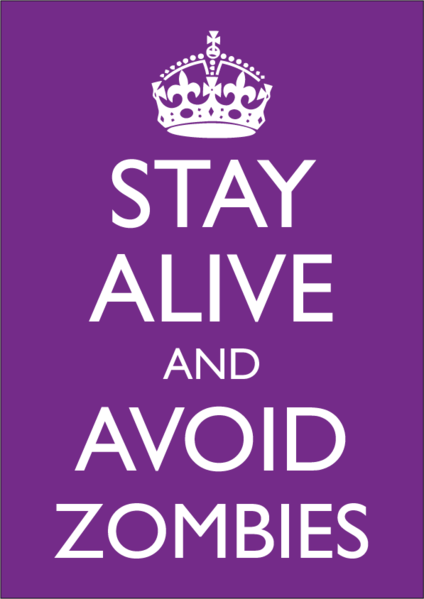 Unfortunately, most zombie movies focus on the living as they struggle to survive against the onslaught of the dead. Few stories focus on a cure, a way to save those who are currently murderous corpses. The only hope they showcase is to escape the city and pray that the government has something set up. The survivors must flee from the horror of their situation to a place that is safe. Christians do not have this luxury. If you are not a Christian and you take offense to being called “dead,” I apologize, but it is the language of the Bible, our Holy Scripture. Chime in below and let me know what you think? I’m sure there are people out there who think the exact opposite, that Christians are the walking dead who need to be cured by intelligent enlightenment. Let’s talk about it! Come back later this week and I will talk more about other things that go bump in the night!